Our Modern agriculture and our modern way of life is at odds with creation on many levels. But what if we can learn how to live in harmony with the ecosystems we find ourselves in? Could rewilding portions of our farms and rural land be an answer for some of our greatest struggles? 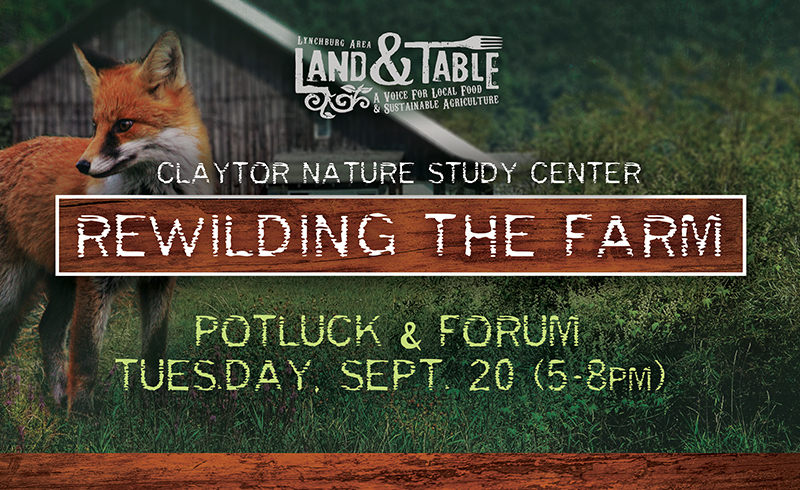 Join us Tuesday, September 20th (5-8pm) at Claytor Nature Study Center in Bedford County for our monthly networking potluck and a discussion on integrating ‘conservation’ and ecosystem restoration into our land use. 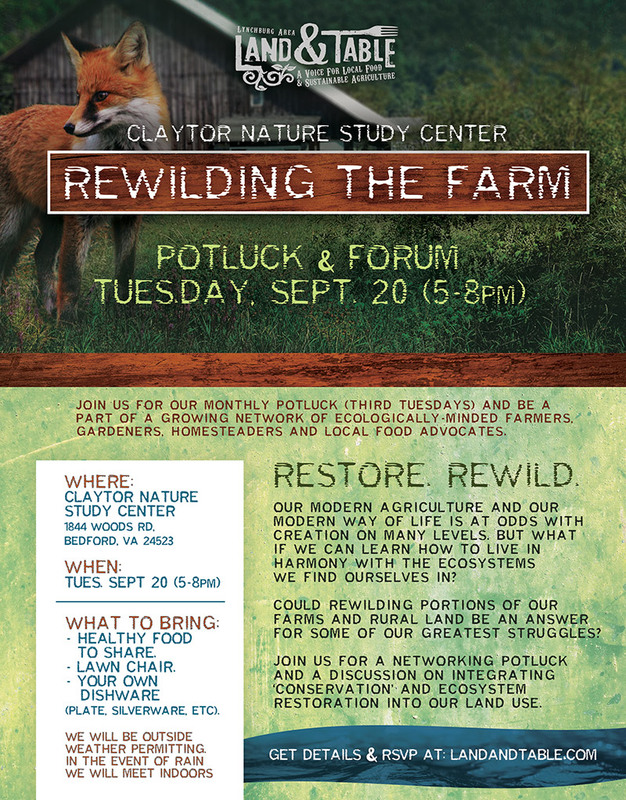 Community potluck, and open discussion with one another and with Claytor Nature Study Center staff on the topic of rewilding, conservation easements and ecosystem restoration in the context of the active rural farm. Bring a lawn chair or folding chair (we will meet outside – in the event of rain we will meet indoors at Claytor). Bring healthy dinner food to share. Label your dish with your name and food description if you can. Bring your own dishware (plates, cups, utensils, etc) (A dishwashing area will be provided). 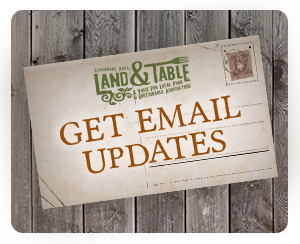 Bring a cash donation to help us keep our monthly Land and Table gatherings going. Please RSVP by using our Contact page or by RSVPing on Facebook. Bring a friend!